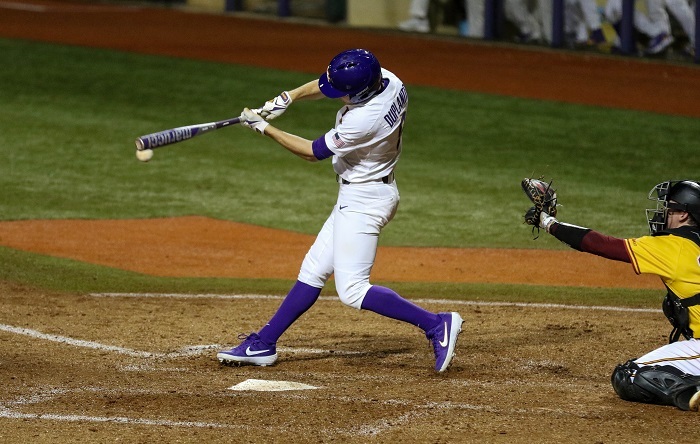 The LSU baseball team travel to Missouri this weekend for a battle of Tigers in which it will hope to bounce back from a baffling 7-2 midweek loss to Southern and continue its success thus far through the Southeastern Conference schedule. LSU (23-11, 8-4 SEC) will go with its normal weekend rotation of Zack Hess (2-2, 3.71 ERA), Cole Henry (3-1, 3.55 ERA) and Eric Walker (2-2, 4.86), said LSU coach Paul Mainieri, while the offensive side of his Tigers will face three straight starting lefties wearing Missouri (23-11-1, 5-6-1) uniforms. Missouri ace Jacob Cantleberry will hit the mound first with a 3-2 record and a 2.62 ERA, then LSU will face TJ Sikkema — also with a 3-2 record but with a 1.27 ERA — on Saturday. Mainieri said LSU has taken on so many left-handed pitchers at this point, he thinks his team should be able to adjust and get on base regardless. Antoine Duplantis said he he tries not to change his approach at the plate regardless of whose pitching, and Zach Watson remained confident LSU will step up against another solid SEC rotation. That is, in fact, whey they came to LSU to play SEC baseball. Mainieri gave an update on left fielder Daniel Cabrera, saying he hoped the sophomore can compete this weekend. Cabrera swung the bat a few times Wednesday at about 50-to-70 percent power, according to Mainieri, who said he and the rest of the coaching staff should know more Thursday evening after arriving in Columbia where they plan on allowing him to use a batting practice as a benchmark for his health. After that they will decide if he can go this weekend. With a .309 batting average that includes six home runs and 28 RBI, Cabrera could provide a lot to an offense that has struggled with consistency this season. He would got back to left field if he returned, and Mainieri said he was yet to decide what to do with the designated hitter position if that were to occur. After giving up five earned runs against Southern on Tuesday night, freshman pitcher Landon Marceaux will not make the trip this weekend. Chase Costello, who also returned from injury Tuesday, will be available after pitching 1.1 scoreless innings in which he gave up just a hit and a walk. 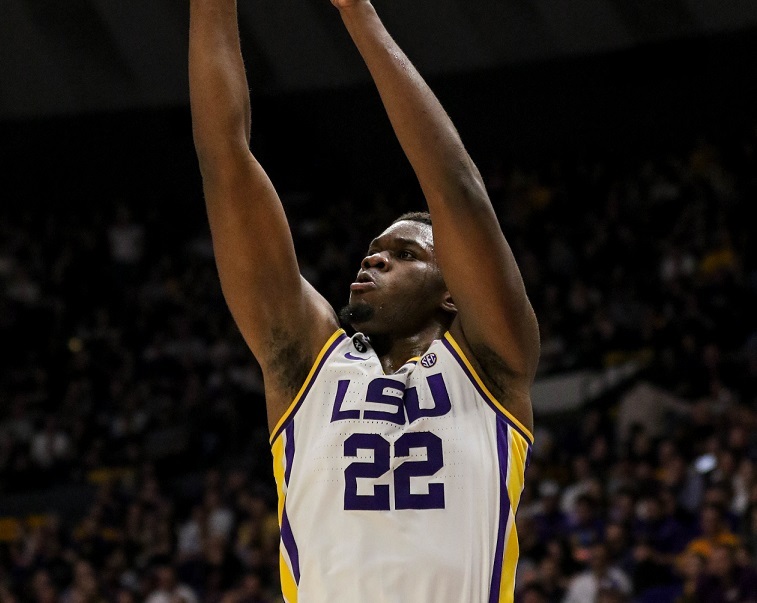 LSU currently sits in a three-way tie with Arkansas and Ole Miss in the SEC West standings, though the Tigers have struggled on the road for most of this season compiling just a 3-8 record in hostile environments. The squad gained some confidence in its last road series in which it beat then-No. 2 Mississippi State twice on Dudy Noble Field. LSU hopes to build on that momentum to earn another much-needed series win on the road before it enters the back half of SEC play.